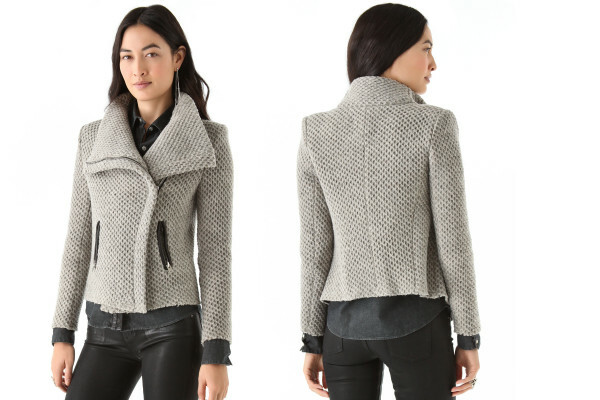 I’m working on a knock-off of this jacket by Iro. 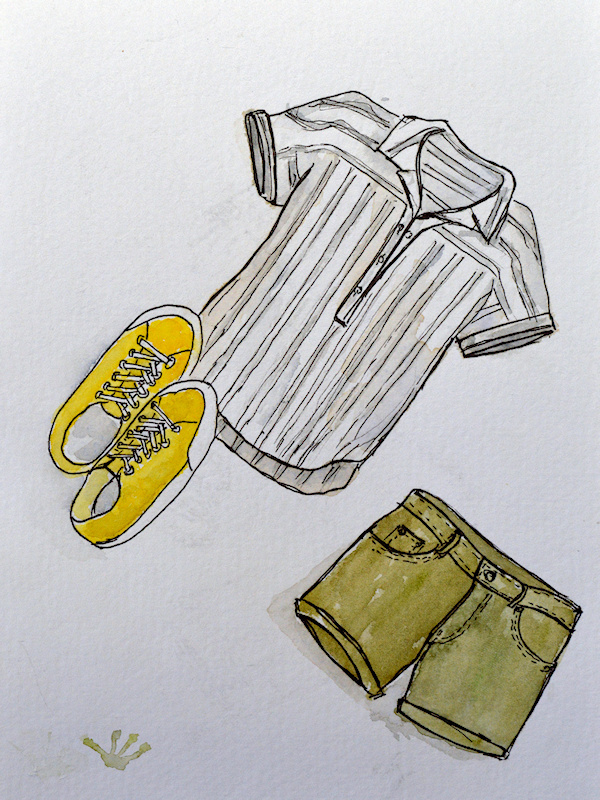 Part of the appeal was the waffle fabric. The fabric I am going to use is hand-woven, a honeycomb weave, to have a similar texture to the original, but not as bulky. The weave I chose was a basic 4-shaft honeycomb. I played around a bit with different block sizes, outline thread thicknesses and weft density. 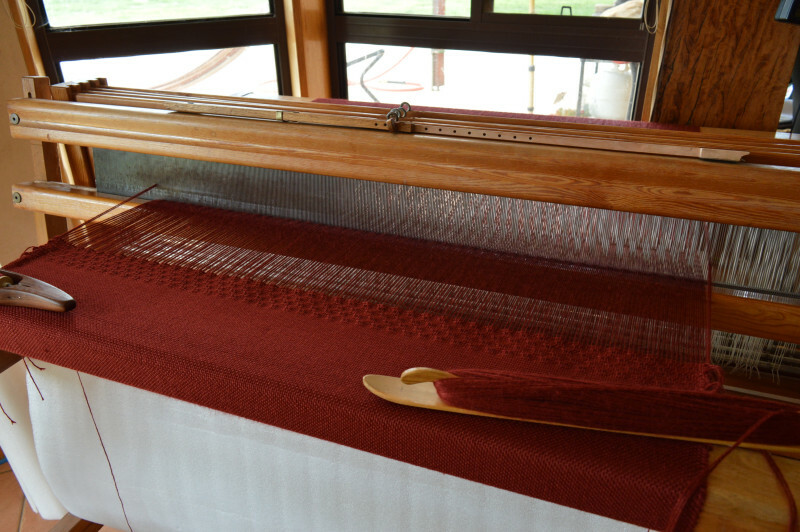 The fun part was taking the samples off the loom and watching the fabric go from flat to dimpled ( or not, as was the case in some of the samples). The original jacket is quite bulky so I’ve decided to make the facings in a plain weave and use the honeycomb for the outer parts of the jacket. 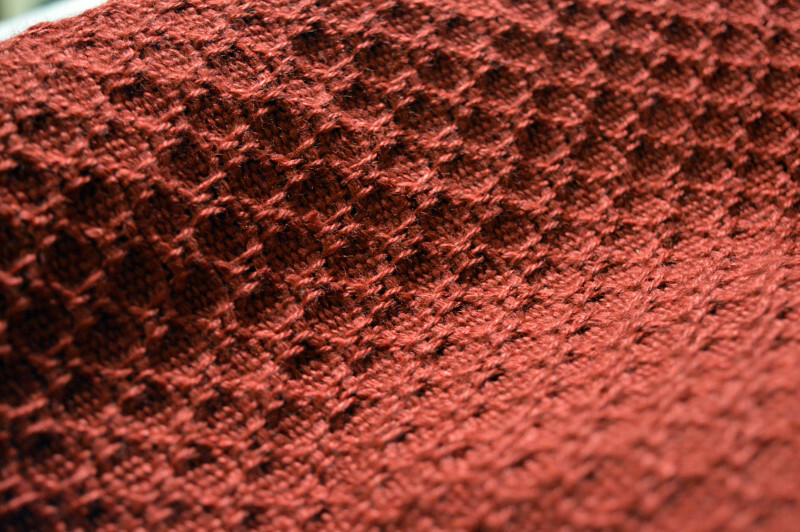 I wove 50cm of plain weave and 2.2m of honeycomb. Since I stuffed up the last jacket, I was super careful about keeping the weave density the same throughout the fabric. 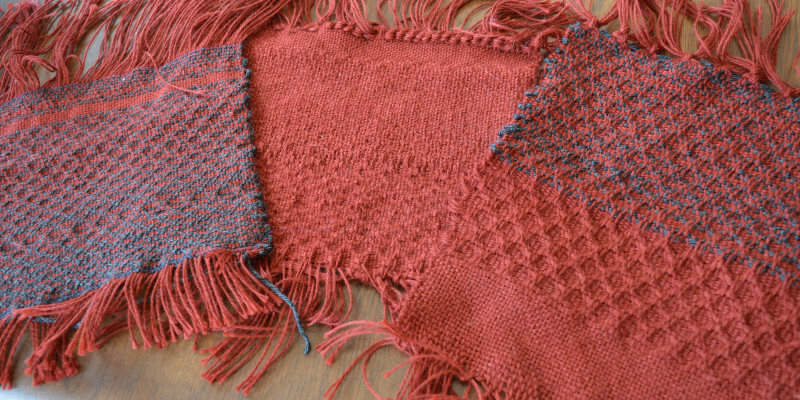 I have a tendency to beat harder at the start of a weaving session — too many Wheaties! 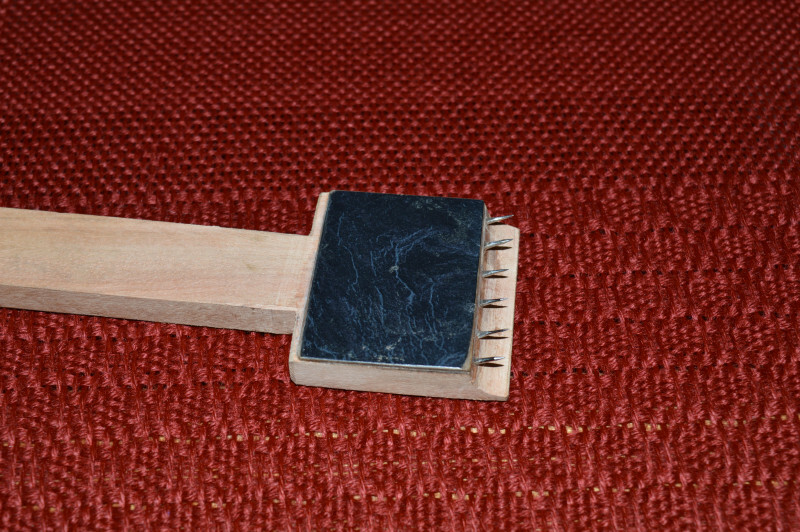 Another tool I used was a temple, or stretcher bar, to make sure the selvages were even. I discovered that the name for the spikes on the end of the temple were called tenterhooks. I found myself literally “being on tenterhooks” a couple of times and can say that they are incredibly sharp! 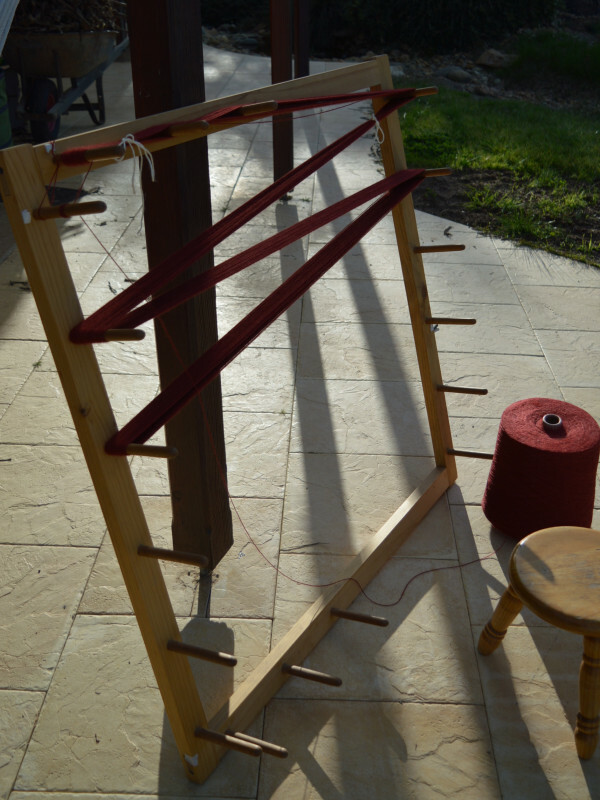 Anyway, after about 5 weeks, the fabric is off the loom and washed. The texture is amazing and lovely to touch. 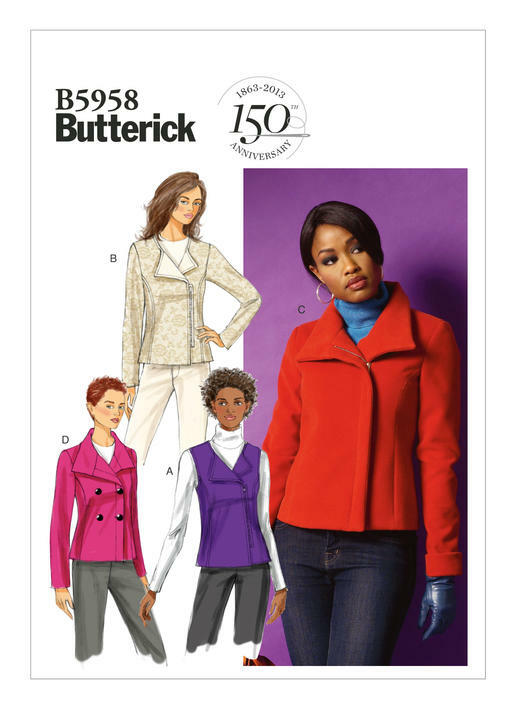 I’m planning to use Butterick 5958, view C, to make the jacket. I’m hoping to do the test fitting over the weekend and make a few changes to the pattern. Mainly adding the pockets, centre back seam & possibly using a 2-peice sleeve. 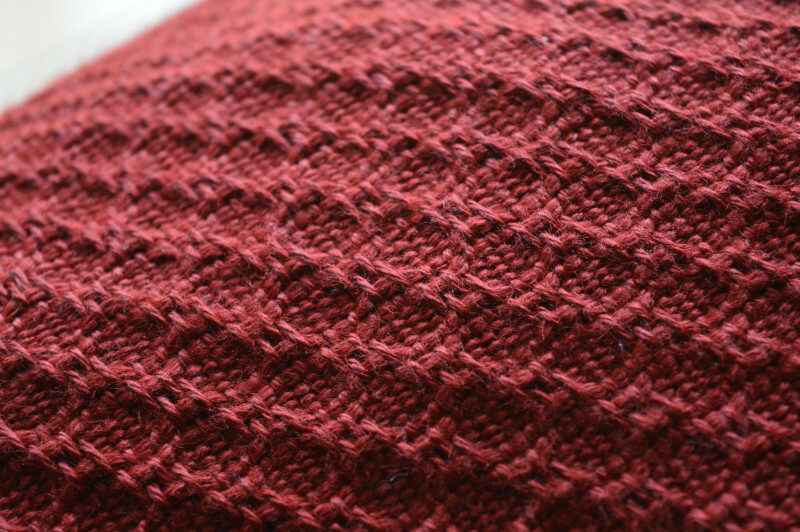 Wow, the weaving is absolutely gorgeous, treefrog. (Just popped over from artisanssquare.) Weaving is definitely on my list of things to learn to do in future.